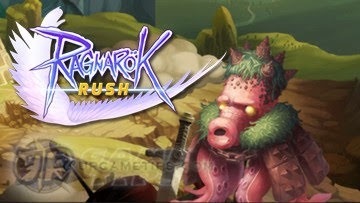 Here's a guide on how to join teams and defeat Bosses like Nattegge, Evil Octopus, or Queen of Worm in Prontera Defense, in the RPG mobile game Ragnarok Rush. Available to download from the App Store and Google Play. How to Join Prontera Defense? - Join Prontera Defense as early as possible so that you can team up with more players, because once they are done with their runs, most of them will be AFK or doing other stuff. - Guild Wars is also in-line with Prontera Defense so during that time, you might see fewer players especially at higher difficulties. - Tip: This is where your friends list becomes very handy, so add friends that are active and can help you defeat Bosses. Invite them to your team, and also help them if you have the time. - This is also one of the perks of being in a guild, because you can ask them for help even against stronger bosses! What is the Aim for this Mode? 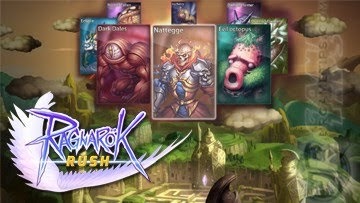 - Defeat Bosses to get rare items that can be used to craft higher grade gears, or for upgrading your character and pets. - Defeating Bosses will also enable you to complete some Palace achievement quests. - You can only receive Friendship Coins up to 5 battles. - TIP: Your first 2 battles will always generate Double Friendship Coins, so make sure to win them to maximize your number of tries. Check the trick below to help you out. - Drawing from random rewards will net you some Friendship Coins, and it will get higher once you unlock more Bosses. 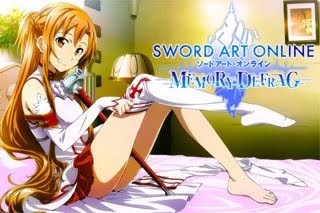 - You can also obtain 2 Red Scale Shards (crafting material) every time you draw a random reward. Earn them too to easily craft Red Gears later on. - Note: You can only draw rewards 2 times per day. - Optional: Spend 100 Gems to draw another one (recommended from Nattegge onwards). - For early game, just keep going until you can reach Dark Dales then start farming Gold Hammers, shards, potential points and more. - Optional: Spend 100 Diamonds to draw another one (recommended from Dark Dales or Nattegge onwards). - Once you reach Evil Octopus and Queen of Worm, Gold Hammers will start to drop twice more, including a rare chance to obtain Oridecon Hammers for crafting red gears. Shards and Potential points are also higher here so it's really good to use Diamonds for more draws. - Higher bosses will generate even better rewards but it's harder to defeat, good luck! - Buy Gold Hammers for some early boost, but do not use all of your Coins, only buy what you need and if you have all the materials needed for crafting. - Gold Hammers are pretty easy to drop from Nattegge onwards, so it's best to start using your Coins for farming Pet Shards. This is recommended especially when you are in a nice Guild that can generate Gold Hammers fast, lucky enough to draw from Faction War chests, or prefer buying Equipment Chests. - Gloom Under Night: Probably the easiest 18 Potential Pet to farm because it is also available from most shops. Nice for F2P players and for completing collections. - Dark Lord: Pretty good anti-tank Magic Caster, useful for Eden Group Missions and Guild Wars for example. - Shecil Demon: Needed to upgrade collections of pets like Gloom Under Night. Easy to complete, and also a nice pet to get early or mid game for physical based teams. - TRICK: If your team is about to lose the battle, quickly force close the app to save your number of tries. Doing this trick will enable you to retry with another team or strategy without losing anything! - Note: Make sure that you force close the app right before the timer expires or when your last man standing is about to get killed, else this trick will not work. - This might be a bug, but when one of your teammates is "lagging" at the very start of the battle, the game will pause and display "Waiting For Other Players". During this period though, all skills will continue to cooldown until all of them are ready to spam right from the start! If We Lose, Are the Rewards The Same? - Nope your team will get a different set that is lower than what it should be if you won the battle. - The number of Friendship Points and Red Scale Shards per draw are the same though for that Boss stage. - Example: Still 14 Friendship Points + 2 Red Scale Shards for Octopus, and 16 Friendship Points + 2 Red Scale Shards for Worm. How to Maximize My Tries and Rewards? - Use all your 5 tries but always end the battle and never draw any rewards! You should still have 2 reward tries left. Next, do the method below. - Party up with other players, friends, or guildmates then attempt to defeat stronger Bosses for better rewards. If you lose, do not draw any rewards and only draw once you win. - This method is pretty good for serious farmers at higher difficulties, like teams that relies on RNG or critical damages to defeat stronger bosses like Evil Octopus and the Queen of Worm. - When creating teams, always consider the CP and Job Class of your teammates. - If CP is too low they might get killed easily, and if your team is full of Tanks and Healers without DPS characters, damage output might not be strong enough to finish strong bosses. - Should be easy once unlocked. - Best if you fire your ultimates once it becomes vulnerable to magic or physical attacks, unless you have a high CP teammate that can break through the barrier shield. - Either do a quick kill or get a healer. - *Tank (80k+ CP with decent Flee) with Healer (80k+ CP, best 130k+ CP) and DPS (best 130k+ CP). - Must spam skills, don't be lazy! Best if all have decent crit rates. - Note: It's strong AoE attack is what makes it a difficult boss to defeat. - In order to defeat Octo, you'll need a team with very high CPs, but here's some tips that is also good even for not so high CP characters. - Every team must have a Assassin Cross (800k+ CP, with decent crit rate and MUST have the Legendary weapon Mysteltainn). 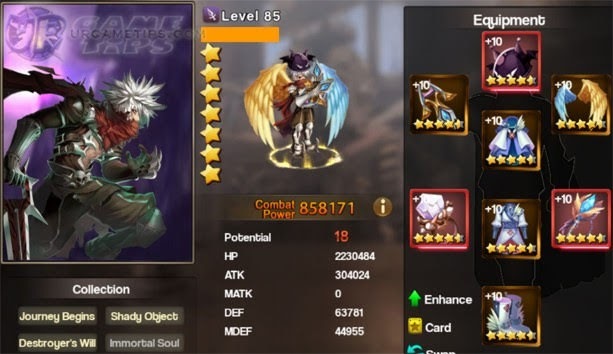 - Check the "Unique" tab via equipment screen for more info on how to craft. Assassin Cross Legendary weapon will add Healing and Damage Reduction bonuses to Sonic Blow. 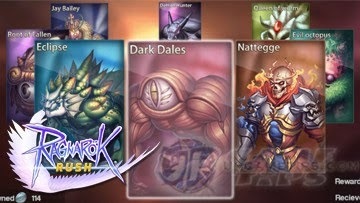 - This is very important because Sinx will serve as your team's DPS and finisher. At higher CPs, SinX can solo Octopus. - *Assassin Cross (check reqs above) with a Tank (at least 200k+ CP) and Any character. - The best thing about having a strong SinX is that you can team up with any character even if they have way lower CP. The best character for boosting guildmates in Prontera Defense! - Add 1 or 2 Tanks: Would recommend adding 1 tank even with low CP. Primary focus it to reduce damages (active and passive skills) and tank for as long as possible. It is also a good idea to use 2 tanks, then let them alternately use Provoke and Grand Cross. - Note: High CP Sinx and Tank, with Legendary Weapons are more than enough for Octopus. 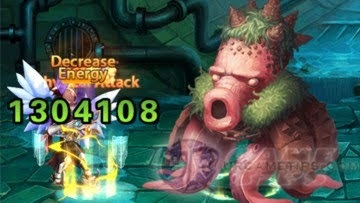 - Add 1 Healer: Usually doesn't last long at lower CPs, but still a nice unit for helping low CP tanks survive longer. - Add 1 DPS: Usually doesn't last long at lower CPs, but the burst damages that they can make before they die is also pretty good. - Technically the same as above, you just need to increase CP, and a massive more for Demon Hunter. - Note: We were able to defeat Worm by just using 1M+ CP SinX with a Tank (200k+ CP) and DPS (200k+ CP), but it relied on crit rates, dodge, and RNG (luck). It became easier as we all get stronger, especially the tank.